Triclosan is a white powder synthetic compound, with a hint of aroma. It's found in many consumer products, including soap. This manufactured compound may have health concerns. Have you looked at the ingredient label on your bar or liquid soap? STOP! Go do this now. Some manufactured solid, deodorizing, soaps contain a related chemical called Triclocarbon. Both chemicals are very controversial. They may be harmful to your health and the environment. It's manufactured by Ciba Specialty Chemical Products under their trade name Irgasan and Irgacare. A generic form is also produced by manufacturers in Switzerland, Netherlands, China, India, South Korea and other countries. You may not know you're using a product with Triclosan because it's sold under trade names including: Ultra Fresh, Amicor, Microban and BioFresh. It was created over 40 years ago as a surgical scrub for hospitals. Since 1972 it's been used widely in household products including: soap, deodorant, toothpaste, mouthwash, dish detergent, hand sanitizers, shaving creams, cleaning supplies, kitchen utensils, pesticides, insulation, flooring, toys, bedding, socks, trash bags, cutting boards, counter tops and other products. WHY IS IT USED? WHY SO CONTROVERSIAL? People spend over one billion dollars, annually, on "antibacterial" soap because they're marketed as being better than regular soap. Studies show low levels of triclosan having bacteriostatic properties. It can bind to bacteria and inhibit its growth. CAUTION, though! It may help promote the growth of drug resistant bacteria, especially when over used. Germs that survive will emerge stronger than before! 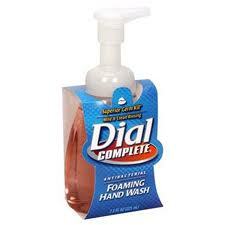 Some scientific studies show "antibacterial" soaps are not anymore effective at preventing disease than regular soap. Regular soap is antibacterial by its very own nature! Scientists have raised concerns for decades. This manufactured chemical penetrates skin and enters our bodies through the bloodstream. According to the Center of Disease Control, approximately 3/4 of Americans have triclosan residue somewhere in their bodies. It has shown up in blood, urine and breast milk in labs around the world. Some studies indicate the body can absorb it in high quantities. It's found in surface waters, soil and fish tissue. When washed down the drain these chemicals are not filtered out in the waste water, therefore they contaminate rivers and streams. Dioxin-like compounds, similar to those found in environmental pollutants, are produced when contacted with surface waters. It's toxic to aquatic organisms. -- When combined with tap water it can form chloroform, a probable human carcinogen. -- Affects the immune system. Positive association with hay fevers and allergies. -- Disrupts endocrine system. Interferes with hormones. -- A scientific study on male rats shows damage to reproductive system, decrease sperm count and disruption of androgen production. Why is this important? Male rats have identical hormone and hormonal responses to that of humans. -- USA law requires triclosan be indicated on the label of consumer products. The American Medical Association, (A.M.A. ), has encouraged the United States Food and Drug Administration, (F.D.A. ), to continue research regarding the use of common anti-microbials as ingredients in consumer products, including their impact on health and the environment. -- In 2009 the Canadian Medical Association asked their government to ban it in household products. Canada has banned it in use of cosmetics. -- Japan has banned it in use of all cosmetics. -- The negative effects of it in the environment have led the Swedish to not recommend using it in toothpaste. -- Denmark, Finland and Germany warn consumers against using products with this chemical. -- Wash hands frequently with regular soap and water. Natural goat milk soap does not contain harsh manufactured chemicals. Instead, this homemade soap may contain virgin coconut oil, a non-hydrogenated and natural anti-microbial. This natural soap may have Melaleuca oil, (Tea Tree), or Eucalyptus oil to combat bacteria. -- Lather hands for 10 to 15 seconds then rinse in warm water. -- Dry hands with clean towels. -- Wash surfaces that come in contact with food. -- Wash children's hands and toys frequently. -- Read the labels on any products claiming to be "antibacterial". -- Avoid consumer products with Triclosan. Looking for other homemade skin care tips? Find them, now!